Last week, I walked out of my classroom for the final time. As the sun set on my time as a classroom teacher, I did what all good teachers do: I paused to reflect on the experience. What went well? What didn’t go well? Where was there room for improvement? My reasons for leaving the profession behind are many, and I’ll delve into that in a later blog post. But for now, I’d like to focus on teachers as I’m come to know them over the years. When I was growing up, school was my safe haven. I grew up in the hood: lots of crime, lots or violence, lots of drugs. My parents were afraid to let us go outside and, well, the situation at home wasn’t great either. School was the one place where we felt secure, where we could explore, and we could stretch our academic muscle. Neither of my parents finished high school, but they knew an education would be our ticket out of the ghetto. My teachers were a source of encouragement, and occasionally gave me some tough love. When I became a parent, I marveled at the teachers who worked with my kids. Their dedication to the students–their passion for helping young minds to blossom–inspired me to get my teaching credentials. I wanted to help students become excited about learning too. Once I became a teacher, I found myself surrounded by caring and dedicated professionals. They shared the dedication that I had seen in my teachers and my kids’ teachers. My colleagues became my mentors and friends. We talked instructional strategies and classroom management, planned field trips and cross-curricular learning opportunities, and navigated our way through the many changes our profession has undergone in the last few years. Dear teachers, thank you. Thank you for your dedication to your work. Thank you for all the sacrifices you make for the good of your students. Thank you for doing more with less, for putting up with the mountains of paperwork, and answering all those darn emails (even when you don’t want to). And thank you for taking care of our most valued treasures: our children. This entry was posted in Education and tagged Education on January 21, 2015 by flamencomom. Ask any teacher or administrator working today, and they will have lots to say on the subject of testing. In Florida, where I currently live and work, this year marks the first year of high-stakes testing under the new Common Core State Standards (CCSS) curriculum. What do the changes mean for us? It means everyone is in a panic over what to expect in terms of the type of test, as well as what those results mean for teachers and students. To put it bluntly, it’s a hot mess. For one thing, we aren’t really sure what the test is going to look like. Well, we have some idea. The people the Florida DOE have contracted for creating the tests are the same people that developed the tests used in Utah this past year. In case you hadn’t heard, an overwhelming number of students scored below proficiency on the tests that were administered earlier this year. Only 41% of fourth graders were proficient in language arts last year, compared with 78% the previous year, according to this article in the Orlando Sentinel. This number is alarming for a few reasons; among them the fact that student proficiency scores help determine school grades and are used in calculated the VAM scores that link directly to teacher evaluations. If our students are performing that poorly across the board, then we really need to have a close look at the validity of the assessment tools we use, the curriculum we teach, and our methods of instruction. Giving more tests is not the answer. What happens when you have a new test coming down the road? A test that has so much riding on it? Well, what it means is lots and lots of test prep. And since we don’t exactly know what this test will look like, we scramble to come up with lots of ways to prep kids. My previous school district decided they would create their own monthly writing assessment to help “get the students ready for the demands of the new timed writing tests.” That translated to a monthly writing prompt that would take me three class periods to administer, valuable instructional time lost, and countless hours spent grading. Combine that with additional test prep in reading and math, common monthly assessments, FAIR testing, and benchmark tests, and you’ve got a generation of kids who do nothing but test. Florida and Utah aren’t alone in this. 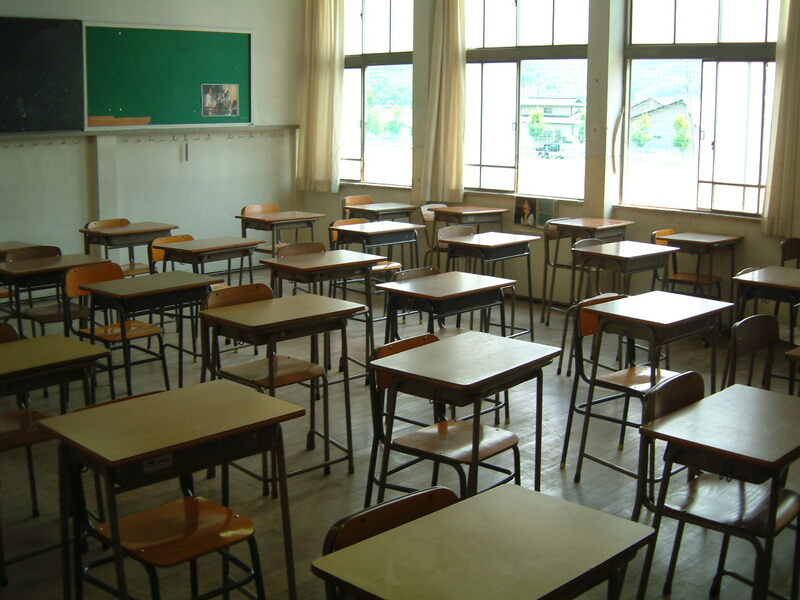 New York started implementing these tests two years ago, and things are just as bad there. In New York City, only 26% of students in grades 3-8 showed proficiency in reading, and only 30% were proficient in math, according to the 2013 testing results. Not exactly good news. Tons of man-hours devoted to prepping students for these assessments did little to help when it came down to taking these tests. So where do we go from here? Obviously, something is fundamentally wrong with what we are currently doing, as we are no closer to bridging the achievement gap. For many people, the accountability movement has begun to resemble the hydra of Greek mythology: every time a test is eliminated, it feels like two more appear in its place. It’s time we got off the high-stakes testing roller coaster and started looking at what and how our students learn, as well as how other factors play a role in student learning outcomes. This entry was posted in Education on October 20, 2014 by flamencomom. First graders: so cute, and so brutally honest. The antibiotics have started working, so it’s time to get back in the kitchen. And since I’ve rather dig my eyes out with a spoon than eat another bowl of soup, I decided on stir fry. This one was super easy. I grabbed some leftover chicken, whatever veggies I had on hand, garlic, ginger, gluten-free tamari, oil, and rice noodles. I soaked the rice noodles for a few minutes in hot water before adding them to the wok, but that was as challenging as it got. The verdict? Delicious. Everything was well-balanced, the veggies remained crisp, and the noodles were just the right firmness. Honestly, it could have turned out terrible, and it wouldn’t have mattered to me. It was just great to be able to get up and cook again. 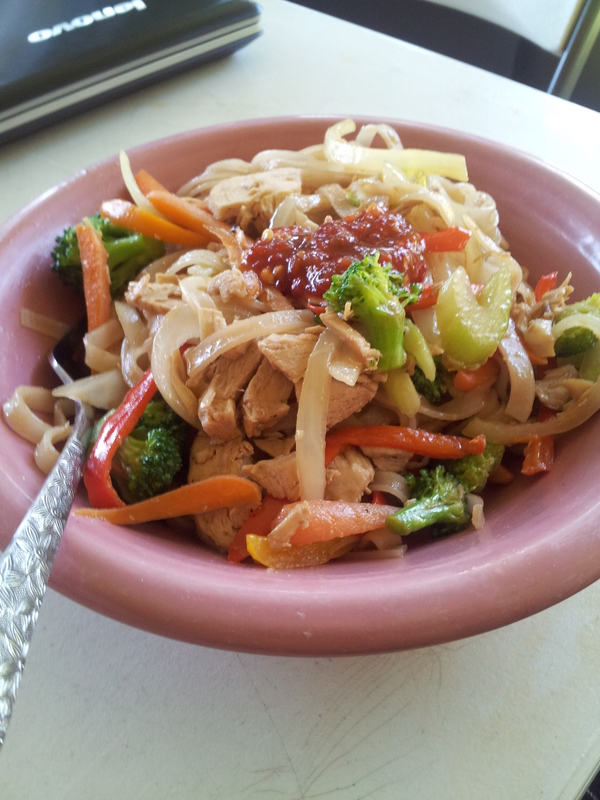 This entry was posted in Food and tagged rice noodles on October 18, 2014 by flamencomom. I’ve emerged from my hiatus to share a rant about Sears. Sears, who sold my mother-in-law a refrigerator on Monday and delivered it to our home yesterday. This same Kenmore refrigerator, purchased at Sears…DOES. NOT. WORK. I came home from work today to find the ground chuck in my freezer a rather unappetizing shade of gray. A service tech (not a Sears employee) came to my home this afternoon–after many hours of phone calls–and confirmed that the appliance is, in fact, not working. As if the smell of rotting food didn’t give that away. The refrigerator is registering a balmy 68 degrees which, as those of you in the food business may know, makes the food housed therein unsafe for human consumption. As I write this, my mother-in-law is trying to get them to deliver a new refrigerator to my house. The earliest estimates for delivery are Friday. Friday, people: as in two days from now. They are also unwilling to compensate me for the food that is now rotting and unsafe for my children to eat. What they did offer was a $100 Sears gift card. Are you kidding? Like I want to spend more money there? I have taken to my Twitter page, my Facebook account, and any other media to share my frustration at both the sub-standard product I received and the cavalier attitude of company representatives with whom my MIL has made contact. If mama’s not happy, ain’t nobody happy. If mother-in-law ain’t happy, well…you know the rest. Update: The social media folks from Sears saw my tweets and have since made contact. As of right now, the new fridge is scheduled to be delivered on Friday; they have also agreed to mail us $100 to go towards the cost of the spoiled food. Fingers crossed, you guys. This entry was posted in Rants on January 11, 2012 by flamencomom. People of the Internets, there is big news around here at Casa Flamenco. Big news as in…wait for it…I got a new job! As if that wasn’t exciting all on its own, the job I speak of is a teaching job. Finally! After years of longing and preparation, the time has finally come. I am teaching 6th grade Language Arts at a new school scheduled to open in just a few weeks. I am so thrilled to have this opportunity to work with students, and I’m thrilled to have found a placement at a school where the administration is very supportive of its teachers. My AP taught for this particular school management company (at a different site), and both she and the principal expressed their belief that I would make a good fit at the school. For the next few weeks, I’ll be in training classes and working on lesson planning in preparation for the start of the school year. I’ve got lots of prepping to do, and I cannot wait to hit the ground running. Whoo-hoo! This entry was posted in Edumacation, Work on August 3, 2011 by flamencomom. Whew! Okay, now that I’ve gotten that out of the way, I can move on. I haven’t posted on this blog in a LONG time. Why? I’m not entirely sure, but I guess the short answer is that I guess I felt I didn’t have anything to say. I kept waiting for a time when thoughts, feverishly percolating within the hat rack above my neck, would cry out for release. As one would expect, it didn’t happen. And it didn’t happen because the act of writing is a craft that needs to be practiced constantly. If you’re not writing all the time, you’re going to get rusty–and it’s going to get a lot easier to concoct any number of ridiculous excuses for not writing. Like having to organize my closet, pay my taxes, and steam the carpets. Then, I started moving in a different direction, talking about books and other stuff–things like school and family trips, etcetera. I started to get too wound up in the idea that this blog should have one very well-defined focus and that’s it. But then I started to feel suffocated by that idea, and then the words just stopped. So, I think it’s time that I just write about the stuff I want to write about and remove those self-imposed limitations. Because at the end of the day, I want to know that I put what was on my mind and in my heart on a page (or server, as the case may be). It may not fit into any of those neat and convenient tags or categories I’ve placed on my blog in the past, but I’m okay with that. This entry was posted in Uncategorized on May 19, 2011 by flamencomom. My husband can attest to the fact that I have really good memory. That skill can be a mixed blessing. When you need to recall something quickly, you’ve got it. On the flip side of that, you are challenged by not being able to simply forget things you’d rather see fade off into the recesses of your gray matter. “The good news is that my kitchen smells like lemongrass. Yeah, so that didn’t go so well. But I’m a determined little bugger, and I never quite gave up on the idea of successfully executing this dish. I’d revisit the recipe, toy with some of the ingredients, and try again. I just wouldn’t let it go. I couldn’t forget my earlier failure, and I was obsessed with getting this darn thing right. Well, Peoples of the World Wide Web, I have finally done it! Today, I made the soup…and it was FREAKING DELICIOUS. The creaminess of the coconut, the brightness of the LEMONGRASS, the saltiness of the fish sauce, and the spiciness of the Thai chilis: everything just came together beautifully. I’m still planning to play around with some of the seasonings, but I’m pretty darn happy about how things turned out. Once I’m done with nailing down precise measurments, I’ll be sure to update this post to include the recipe. This entry was posted in Home Cooking, Raves on November 15, 2010 by flamencomom.